The worst feeling for a golfer is hitting a perfectly stuck iron shot off the fairway, knowing the ball is heading straight for the pin, only for it to end up 20 metres short of the green or in the bunker. You kept that pose, twirled the club as the ball was heading for a certain birdie chance and it all fell short. Certainly one of the most frustrating things in golf. What are the factors we did or didn’t take into account when playing that shot? Was it the wind that picked up, was the hole and green slightly elevated? Becoming a better golfer is knowing your true distances for each club, and knowing the true distance on the course. We all have to be honest ourselves regarding how much power we have, the swing we have, our technique and finish when it comes to getting the right distances. It’s all good being a hero and hitting the ball long, but long doesn’t mean accurate or precise with distance. We shouldn’t fool ourselves into thinking that we hit 150 meters on average with an 8 iron, when we know we have to hit that club perfectly to get to that true distance. Most golfers pump up their club distances as they don’t want to accept that they are not long hitters. This will cost you strokes on the hole which you will regret heading to the next one. So rather focus on the swing and club up; to ensure you get there comfortably with a pure strike, rather than forcing a potentially skew shot. Each course has its own distance markers, assisting golfers where they lie to play their next shot. Golf courses try make their distances as accurate as possible. If you know your distances for each club make sure you have the perfect club in your hand. Maybe if you are 150 meters out, a 7 or 8 iron is in your hand to play that shot to get onto the green. Take into account the conditions and adjust accordingly. Wind, elevation, hazards etc. Then play the shot. 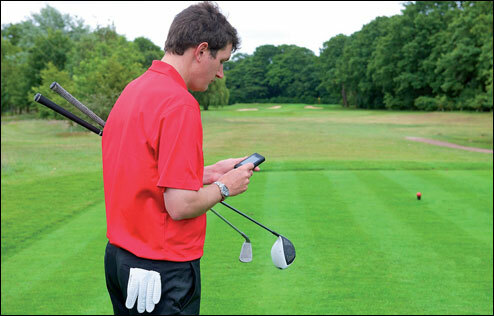 If you don’t trust the markers on the course, or your ability to work out how far up or down the green the flag might be, why not try embracing golf’s ever evolving technology. As the game moves into the 21st century, technology is evolving to make the game more modern. Golf now has a multitude of apps, range finders and GPS gadgets that are assisting golfers with their distances which is helping them play their next shot to where they need to be with more confidence. 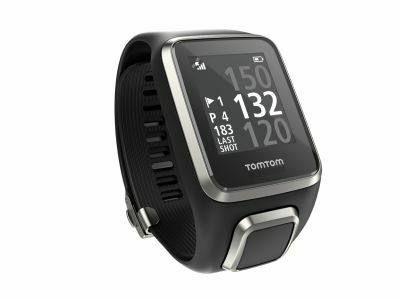 The most popular brands are Golf Buddy, TomTom and Garmin. As with everything in life, technology is not fool proof and it is certainly not 100% accurate. How many times has your GPS taken you to the wrong location? Also, most GPS’ are supposed to be accurate to within 10m/yards. That is an entire club in some cases, and is it 10m short or 10m long. It comes down to using more than one asset at your disposal and making a call from there. Through sheer practice and play, over a number of years, you can, with a certain amount of forgiveness, tell without a distance marker or gadget how far you are just by looking. So when you are standing on the fairway, looking at making an approach, consider the following. How far does it look? How far do the markers say it is? What does the GPS say? What hazards lie in front of you? And what is the weather like? Once you’ve thought about all of that, just go up there and swing. Golf is as much a mental sport as it is a physical one. A clear mind and a smooth swing will produce a better result in the end. So focus more on the strike than the distance. Knowing the distance will help in picking the right club, but it still won’t help if you don’t make the right connection.